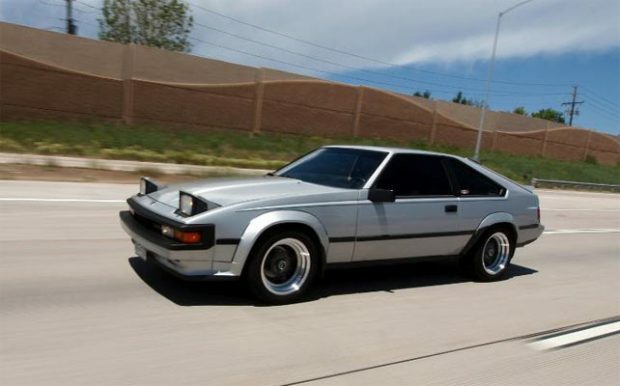 85 Supra Muscle Car? No Way! Back in the 1980’s our American muscle cars basically came to a dead halt. Company’s like Toyota saw opportunity. So, they loaded up ships and flooded our soil with cars like this. Nimble, somewhat fast, decent looks, turbo and non turbo options. Decent enough looking car and they sold lots of these. Rear wheel drive, tight interiors and the mandatory sewing machine sounding engine. We went from Camaros, Mustangs, Road Runners and fast Corvettes to this. We called them Jap Scrap back in the day. Why? They rusted out, few mechanics could fix them right, it required metric tools and had things none of us ever had seen before. I drove them and worked on them. I feared they would replace our fast muscle cars and they almost did. Until our big three finally woke up. It took too long but eventually the big three came back to the party and we all rejoiced. Now, for the time being the big three are putting out amazing fast muscle cars and these jap cars can be a distant memory. So, thanks for the memories, but the muscle car reign is back and stronger than ever. Related Items85 Supra Muscle Car? No Way!